Durban - The Sharks have moved swiftly to tie down star player Jean-Luc du Preez with a new contract amid rumoured transfer interest from the Bulls. The 22-year-old flank had reportedly been identified by Bulls coach John Mitchell as one of his targets as he tries to bring success back to club, particularly in Super Rugby. The Pretoria franchise have struggled to shine in the competition, having failed in their attempts to make it past the knockout stage since 2013. While many had hoped that the arrival of the experienced New Zealand coach would do the trick, the side remain vulnerable as they finished 12th out of 15 teams in the standings in the current season. In addition, they finished at the bottom of the South African Conference, making it the Bulls’ worst ever campaign in the tournament. Now, according to recent media reports, the New Zealander had requested R90 million from the Gauteng side’s board to lure young Du Preez to the Pretoria outfit, while also showing his interest in Springboks Duane Vermeulen (unattached), Schalk Brits (unattached), Frans Malherbe (Stormers) and Junior Boks star Wandisile Simelane (Golden Lions). But in an interview with The Witness, Sharks communications manager Novashni Chetty confirmed that Du Preez was staying in Durban. She further said that the youngster has signed a new deal although she could not divulge further details regarding his contract extension. “Jean-Luc is contracted to the Sharks, he’s actually just re-signed with the franchise, so those rumours that he might leave aren’t true,” she said. Du Preez is the son of Sharks coach Robert du Preez and twin brother to team-mate Daniel. He has represented South Africa at all levels and has 13 Springboks caps. 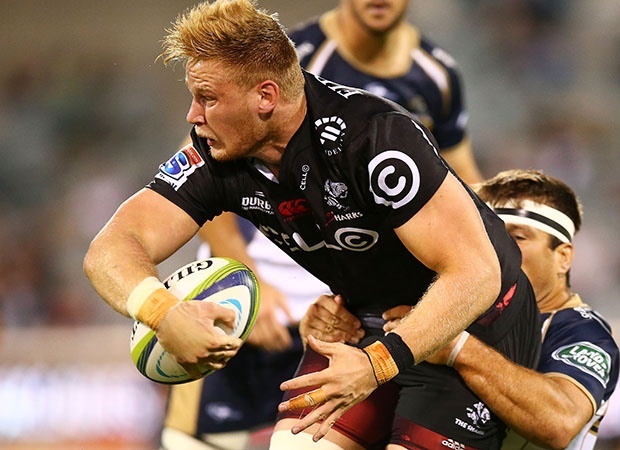 While his 2017/18 Super Rugby campaign was cut short due to a knee injury, the young prospect is expected to be fit and ready before the start of the upcoming Currie Cup. The Sharks will return to action on August 25 when they host the Blue Bulls at Kings Park in Durban at 15:00.